(PRESS RELEASE) – Kia Motors (Lanka) has opened its first Vehicle Sales Centre in Sri Lanka’s Eastern Province as part of the company’s on-going dealership development initiative. The new showroom, which will be operated as a franchise by M/s N.K.D. Ratnam and Co., an experienced player in the automobile trade, is located at 570, Trinco Road, SinnaUrani, Batticaloa. 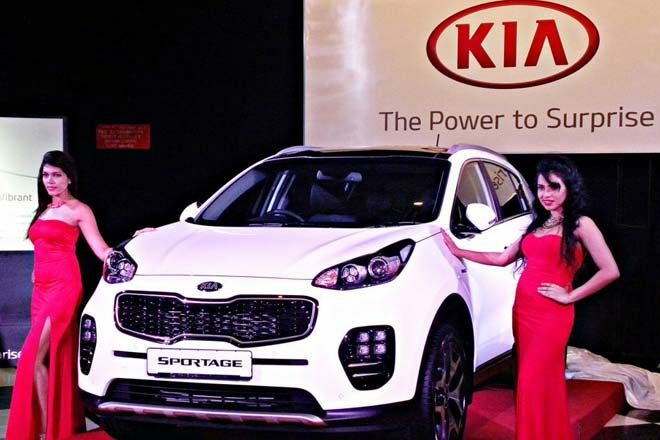 It will significantly facilitate access in the region to the range of Kia vehicles popular in Sri Lanka, the company said. Designed and equipped to international standards and guidelines stipulated by Kia, the new sales centre occupies a prime location in the Batticaloa town, and has extensive customer parking.It’s staff will be trained and supported by Kia Motors Lanka to meet the expectations of Kia and its customers. The Kia range sold in Sri Lanka by Kia Motors (Lanka) comprises the iconic Kia Sorento and Kia Sportage SUVs, the Kia Optima luxury sedan, the Kia Cerato mid-sized sedan, the Kia Rio subcompact sedan,the Kia Soul compact SUV, the Kia Picanto compact car and the Kia Grand Carnival Multi-purpose Vehicle (MPV).